Lauren McCarthy is an artist and programmer based in Brooklyn, NY. 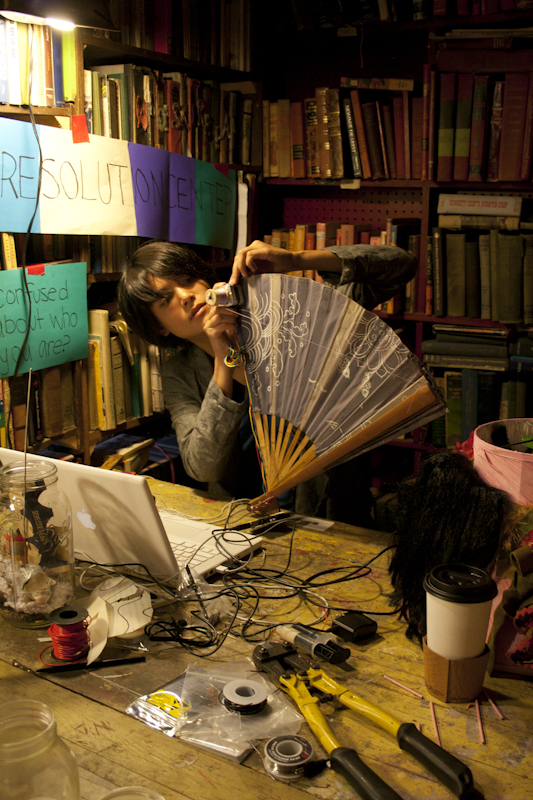 She is adjunct faculty at RISD and NYU ITP, and a current resident at Eyebeam. She holds an MFA from UCLA and a BS Computer Science and BS Art and Design from MIT. Her work explores the structures and systems of social interactions, identity, and self-representation, and the potential for technology to mediate, manipulate, and evolve these interactions. She is fascinated by the slightly uncomfortable moments when patterns are shifted, expectations are broken, and participants become aware of the system. At Sosolimited and Small Design Firm, Lauren has worked on installations for the London Eye, North Carolina Museum of Natural Sciences, IBM, US Holocaust Memorial Museum, Metropolitan Museum of Art, and Thomas Jefferson’s home at Monticello. She has also worked at Oblong Industries, Continuum and the MIT Media Lab. Her artwork has been shown in a variety of contexts, including the Conflux Festival, SIGGRAPH, LACMA, the Japan Media Arts Festival, the File Festival, the WIRED Store, and probably to you without you knowing it at some point while interacting with her.